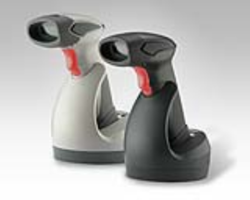 The pistol grip shape of the OPR3301 is specifically designed for ergonomic barcode scanning. It naturally fits in your hand, enabling comfortable use all day. 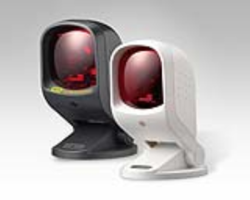 The barcode scanner weighs about 100 grams. The housing provides reliable operation and protects the engine from drops up to 1.5 meter onto concrete. 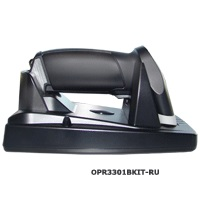 The OPR3301 uses the widely available and reliable Bluetooth wireless communication protocol, which allows the scanned data to be instantly transmitted to any Bluetooth capable device. Scanned data is stored on-board the OPR-3301 in case the Bluetooth receiver moves out of range or is temporarily unavailable. This prevents data loss as well as loss of retracing time, contributing to continuous mobile working. 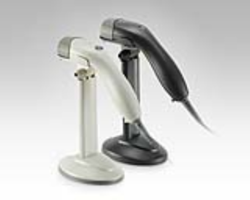 Ultra-lightweight, yet solid barcode scanner withstands drops up to 1.5 meter onto concrete. 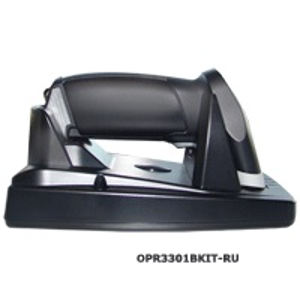 senor GSN-697 barcode scanner Hands-Free Single-Laser Omnidirectional Barcode Scanner Online Only Price!